Technology,Vehicles,Pets,Tourism,Medicine Tehnika,Vozila,Ljubimci,Turizam,Medicina: COCA COLA IS VERY BAD FOR YOUR HEALTH !!! ----------- COCA COLA JE VEOMA LOŠA ZA VAŠE ZDRAVLJE !!! 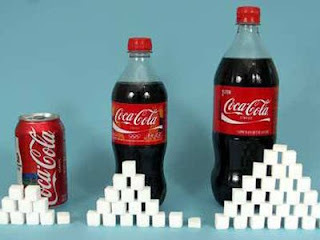 COCA COLA IS VERY BAD FOR YOUR HEALTH !!! ----------- COCA COLA JE VEOMA LOŠA ZA VAŠE ZDRAVLJE !!! A few years ago in Greece, the researchers conducted a study on the impact of soda on the human body. In particular, the influence of two or more liters of soda a day to human health. The results that were obtained are at least great, even more so we can safely say that they are very stunning. Too much caffeine you drink contains this affects the uneven heartbeat, and too much fructose causes the occurrence of diarrhea. In addition, too much sugar can lead to diabetes of the second type (type two), cavities and problems with metabolism. Additionally it is difficult to circumvent the fact that the intake of excessive amounts of soda in the daily diet increases the risk of osteoporosis, gastrointestinal problems and kidney problems. How many times have we told ourselves: "A glass of cola will not do any harm!". Are we aware that the problems in our body causes exactly this magic potion? The answer is very simple, but unfortunately we are not aware of what is causing all this only "one glass". We will never stop at one glass, which will help in continuing to present a little better, you get to know a reason why we can not stop at one glass. Excessive consumption of Coca-Cola, leading to weakening of the bones, to irregular heartbeat, and can cause problems with muscle. 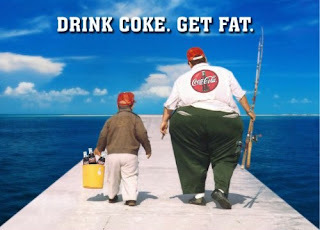 Excessive intake of Coca-Cola directly affects the muscles, resulting in a reduction of potassium in the blood, which causes problems with the development and operation of the muscles. A large amount of caffeine you drink contains this affects the abnormal heartbeat, that is. accelerate its work. Several consumers who have ceased to consume carbonated drinks have achieved full recovery, but are still prone to certain diseases. Although manufacturers reduce intake or the amount of sugar in drinks, the problem is not solved. The larger problem is the artificial sweeteners. Through concrete example will explain the problem of artificial sweeteners. We are all consumed or at least heard of the "Coca-Cola" or rather drink without sugar. Is it really so? Maybe it is sugar-free, with no real sugar, but how is it that the said beverage tastes the same as regular "Coca-Cola"? This "non-sweet drink" provokes an even greater desire for sweet substances. What if no sugar? Simply, artificial sweeteners and mentally, and physically increase the desire for sweets. Studies have shown that people who use artificial sweeteners thicker than those using ordinary sugar. It is scientifically proven that the artificial creation of dopamine addictive and thus thicker. From the Croatian branch of "Coca-Cola" have confirmed that children under the age of twelve (12) years of age should not consume "Coke" because of its harmful content. In addition to water, carbon dioxide (CO2) is the most common ingredient. He encourages belching, and results in bloating of the stomach. The fact that we had a drink with "zero calories" look thicker than usual, because our stomach is inflated. The "Coca-Cola" is the acid that stimulates production of serotonin, and legions of neurotransmitters and dopamine. In this way, "Coca-Cola" has a similar effect as infatuation. This acid is referred to as "Phenylalanine". For a liter of soda puts the dose of aspartame. Aspartame is an artificial sugar, potentially smrtonosti agent, that the Pentagon once considered biochemical weapons, and today is very widespread in the diet. The aforementioned sweetener is 160-200 times sweeter than sugar, and liter "Zero Cole" we have about 100 milligrams of the above sweeteners. The said sweetener is in use from 1981 entitled "Equal and NutraSwet". Caramel E150d or sulpite ammonia caramel, really has nothing to do with the right of caramel. This is only a color, and is produced chemically, specifically the processing of sugar cane or beet. This and similar dyes are used in beer, artificial dark bread, chocolate pastries, ice creams, sauces, whiskey, wine and so on. The problem that occurs in the production is maintaining the same quality product and how to get them to drink constantly keeps in top potions without which you can not? If you thought that the Coca Cola kept in the dark and cool room, you're wrong. The answer is very simple and very vicious. To maintain the high quality drinks are used acid called stabilizers. One such acid is the "Ortho" acid. It is the stabilizer of the third keeps the quality of drinks at a high level. The maximum level that can be found in one liter of beverage is 700 milligrams, and "Zero Cola" is 400 milligrams. This acid has a very detrimental effect on our teeth, namely its low pH causes erosion of the teeth. The original recipe for Coca Cola is one of the best kept secrets. Safe with handwritten original recipe of Coca-Cola at the end of last year has been transferred from the bank Sun Trust in Atlanta, where he guarded from 1925, the museum World of Coca-Cola also in Atlanta (state Georgia). According to the company, residents of more than 200 countries each day buy 1.7 billion product brand Coca-Cola. What are all placed in the coke know only manufacturers. According to what is available to us on the labels of most of these ingredients challenges various types of addiction. 1st phenylalanine increases hormone satisfaction and affects the secretion of serotonin that is a hormone that causes addiction, and so she is our assertion of only one glass that does not hurt anyone this thesis is overthrown. Acesulfame K 4th E950- And this is a kind of artificial sweetener, he is also suspected to be carcinogenic, but before starting the use is not enough-tested. 6th Aspartam- E951- and this is also a kind of sweetener which is FDA classified as "non-hazardous" However, it is "only" harmful to the brain and suspected of causing cancer in the same. 7. Sodium citrate species regulator taste, but in effect it represents an anesthetic for language and an anticoagulant. The question is if this is an anesthetic, what is the taste of the drink without it, as an ingredient? 8. Sodium benzoat- E211- this kind is a preservative, which may react with vitamin C in this reaction leads to the formation of benzene, which are carcinogenic properties known to us. This ingredient in children affects the reduction of intelligence, it was in 2007: In addition it causes cell damage, because it affects the DNA of mitochondria. The "Coca-Cola" said they will discontinue the use of the above ingredients as soon as finding an adequate replacement. After all, it seems logical to wonder whether the "Coca-Cola" to be the most popular drink among the population? The sooner you become aware of the dangers that this drink contains before you to preserve your health and the health of your loved ones! Prije par godina u Grčkoj su istraživači proveli istraživanje o utjecaju gaziranog pića na ljudski organizam. Tačnije, ispitivan je uticaj dva ili više litara gaziranog pića dnevno na zdravlje ljudi. Rezultati do kojih se došlo su u najmanju ruku sjajni, čak šta više slobodno možemo reći da su jako zapanjujući. Prevelika količina kofeina koju ovo piće sadrži utiče na neravnomjeran rad srca, a prevelika količina fruktoze izaziva pojavu proljeva. Osim toga, prevelika količina šećera može dovesti do pojave dijabetesa drugog tipa (tipa dva), karijesa kao i problema sa metabolizmom. Uz sve navedeno teško je zaobići i činjenicu da se unosom prevelike količine gaziranog pića u dnevnoj prehrani povećava rizik od osteoporoze, gastrointestinalnih problema, te problema sa bubrezima. Koliko puta smo sami sebi rekli: „Čaša cole neće nikome naškodit!“. Da li smo svjesni koje probleme u našem tijelu izaziva upravo taj magični napitak? Odgovor je vrlo jednostavan, a nažalost nismo svjesni šta sve uzrokuje ta samo „jedna čaša“. Nikada nećemo stati na jednoj čaši, a to ćemo vam u nastavku malo bolje predstaviti, upoznati vas s razlogom zašto se ne možemo zaustaviti na jednoj čaši. Preveliko konzumiranje Coca-Cole, dovodi do slabljenja kostiju, do nepravilnog rada srca, i može uzrokovati probleme sa mišićima. Prevelik unos Coca-Cole direktno utiče na mišiće, a za posljedicu ima smanjenje kalija u krvi što uzrokuje probleme sa razvojem i radom mišića. Velika količina kofeina koju ovaj napitak sadrži utiče na abnormalan rad srca, tj. ubrzava njegov rad. Nekoliko potrošača koji su prestali konzumirati gazirana pića postigli su puni oporavak, ali i dalje su skloni određenim bolestima. Iako su proizvođači smanjili unos odnosno količinu šećera u napitcima, problem nije rješen. Veći problem predstavljaju umjetna sladila. Kroz konkretan primjer ćemo objasniti problem umjetnih sladila. Svi smo konzumirali ili barem čuli za „Coca-Cola Zero“ ili bolje rečeno piće bez šećera. Da li je zaista to tako? Možda jeste bez šećera, bez pravog šećera , ali kako to da je navedeni napitak istog okusa kao i obična „Coca-Cola“ ? Ovaj „neslatki napitak“ izaziva još veću želju za slatkim materijama. Kako ako je bez šećera? Jednostavno, umjetni zaslađivači i psihički, a i fizički povećavaju želju za slatkim. Istraživanja su pokazala da su ljudi koji koriste umjetne zaslađivače deblji od onih koji koriste obični šećer. Naučno je dokazano da umjetno stvaranje dopamina izaziva ovisnost i na taj način deblja. Iz hrvatske podružnice „Coca-Cole“ su potvrdili da djeca mlađa od dvanaest (12) godina ne bi smjela konzumirati „Coca-Colu“ zbog njenog štetnog sadržaja . Osim vode, ugljični dioksid (CO2 ) je najzastupljeniji sastojak. On potiče podrigivanje, te za posljedicu ima nadutost stomaka. Samim tim što smo popili piće sa „nula kalorija“, izgledamo deblje nego obično, jer nam je stomak napuhan. U „Coca-Cola Zero“ se nalazi kiselina koja potiče stvaranje serotonina, i čitave legije neurotransmitera i dopamina. 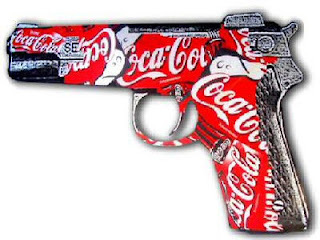 Na taj način „Coca-Cola Zero“ ima sličan efekat kao zaljubljenost. Ta kiselina se naziva „Fenilalanin“. Na litru gaziranog pića stavlja se doza aspartama. Aspartam je vještački šećer, potencijalno smrtonosti agens, koji je Pentagon nekad smatrao biohemijskim oružjem, a danas je veoma raširen u prehrani. Navedeno sladilo je 160-200 puta slađe od šećera, a u litri „Zero Cole“ imamo oko 100 miligrama navedenog sladila. Navedeno sladilo se nalazi u upotrebi od 1981.godine pod nazivom „Equal i NutraSwet“ . Karamel E150d ili sulpite ammonia caramel, zaista nema nikakve veze sa pravom karamelom. Riječ je samo o boji, a proizvodi se hemijskim putem, tačnije preradom šećerne trstike ili repe. Ova i slična bojila koriste se u pivu, umjetnom tamnom hljebu, čokoladnim pecivima, sladoledima, umacima, viskiju, vinima i td. Problem koji se pojavljuje u proizvodnji je održavanje istog kvaliteta proizvoda te na koji način postići da se piće stalno drži u vrhu napitaka bez kojih se ne može? Ako ste pomislili da se Coca cola čuva u mračnim i hladnim prostorijama, griješite. Odgovor je vrlo jednostavan i jako zloban. Za održavanje visokog kvaliteta pića koriste se kiseline zvane stabilizatori. Jedna takva kiselina jeste i „Ortofosforna“ kiselina. Riječ je o stabilizatoru uz pomoć kojeg se drži kvalitet pića na visokom nivou. Maksimalna dozvoljena količina koja se smije naći u jednom litru napitka jeste 700 miligrama, a u „Zero Coli“ se nalazi 400 miligrama. Ova kiselina ima jako štetan uticaj na naše zube, tačnije njena niska pH vrijednost izaziva eroziju zubi. Originalni recept za Coca colu je jedna od najbolje čuvanih tajni. Sef sa ručno ispisanim originalnim receptom Coca-Cole krajem prošle godine prenesen je iz banke Sun Trust u Atlanti, gdje je čuvan od 1925.godine, u muzej World of Coca-Cola takodjer u Atlanti (država Džoržija). Prema podacima kompanije, stanovnici više od 200 zemalja svijeta svakog dana kupe 1,7 milijardi proizvoda marke Coca-Cola. Šta se sve stavlja u Coca colu znaju samo proizvodjači. Prema onome što je nama dostupno na etiketama većina tih sastojaka izazova razne vrste ovisnosti. 1. Fenilalanin- povećava hormon zadovoljstva odnosno, utiče na lučenje serotonina tj hormona koji izaziva ovisnost, i tako da ona naša tvrdnja od samo jedne čaše koja ne škodi nikome ovom tezom je oborena. 4. Acesulfam K- E950- I ovo je jedna vrsta umjetnog zaslađivača, za njega se također sumnja da je kancerogen, ali prije puštanja u upotrebu nije dovoljno istestiran. 6. Aspartam- E951- i ovo je također vrsta zaslađivača koji je po FDA okarakterisan kao „NEOPASAN“ međutim, on je „samo“ štetan za mozak i sumnja se da izaziva tumor na istom. 7. Natrij citrat- vrsta regulatora ukusa, a ustvari on predstavlja anestetik za jezik i antikoagulant. Postavlja se pitanje ako je ovo anestetik, kakav je ukus pića bez njega, kao sastojka? 8. Natrij benzoat- E211- ovo je vrsta konzervansa, koji može da reaguje sa vitaminom C i u toj reakciji dolazi do stvaranja benzena, čija su kancerogena svojstva svima nama poznata. Ovaj sastojak kod djece utiče na smanjenje inteligencije, utvrđeno je 2007.godine: Osim toga on izaziva oštećenje stanica, jer utiče na DNK mitohondrija. 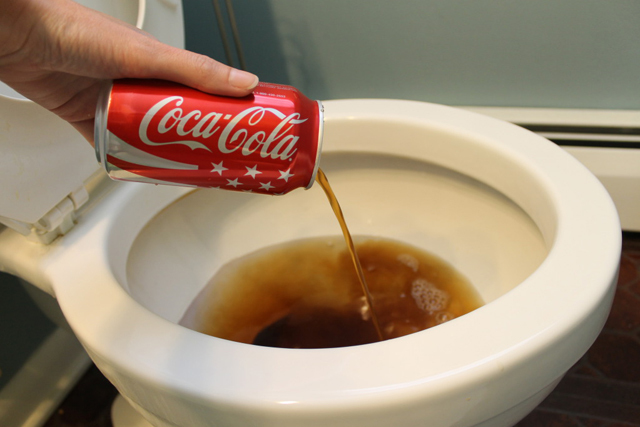 U „Coca-Coli“ su izjavili da će obustaviti upotrebu navedenom sastojka čim pronađu adekvatnu zamjenu. Nakon svega logičnim se čini zapitati da li bi „Coca-Cola“ trebala biti najpopularnije piće među populacijom? Što prije postanete svjesni opasnosti koju ovo piće sadrži, prije ćete sačuvati svoje zdravlje i zdravlje vaših najbližih!